Remember my review on Belo Intesive Whitening Bar? A few have asked what lotion I used with it, I told them just my regular non-whitening lotion. Still, some asked if they can use other whitening lotion along with Belo Intensive Whitening Bar and the truth is, I wasn’t able to answer them because I am not knowledgeable enough to know. 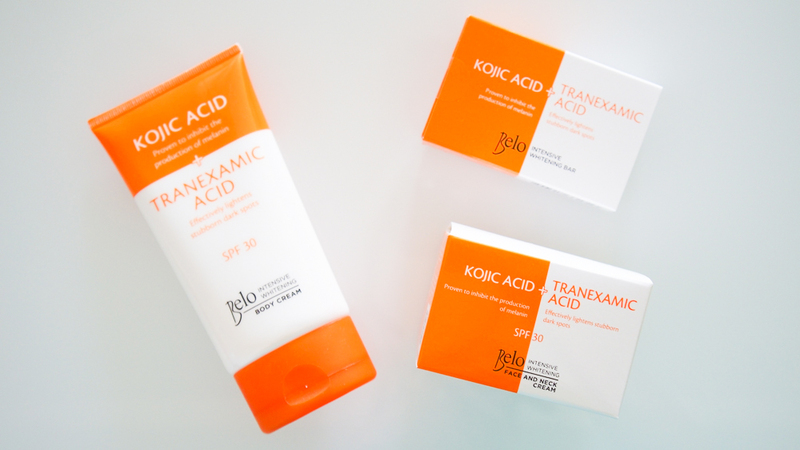 But here’s the good news, ladies and gents, you need not to wonder anymore because Belo Essentials recently launched two other products under the Belo Kojic Acid line. Oooh, the trifecta of intensive whitening is here! Belo Intensive Whitening Body Cream, Belo Intensive Whitening Bar, and Belo Intensive Whitening Face & Neck Cream. 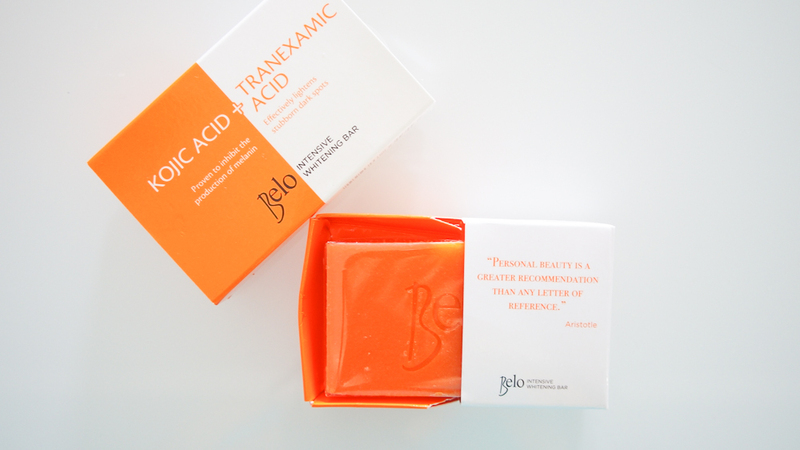 The fusion of Kojic Acid and Tranexamic Acid of Belo Intensive Whitening Bar makes it 64% better than products with Kojic Acid alone. This is what makes this soap a stand out among the rest. For a more detailed review about Belo Intensive Whitening Bar, you can be read my review about it HERE. Now, we don’t need to worry about what lotion to use along with Belo Intensive Whitening Bar for there’s Belo Intensive Whitening Body Cream. 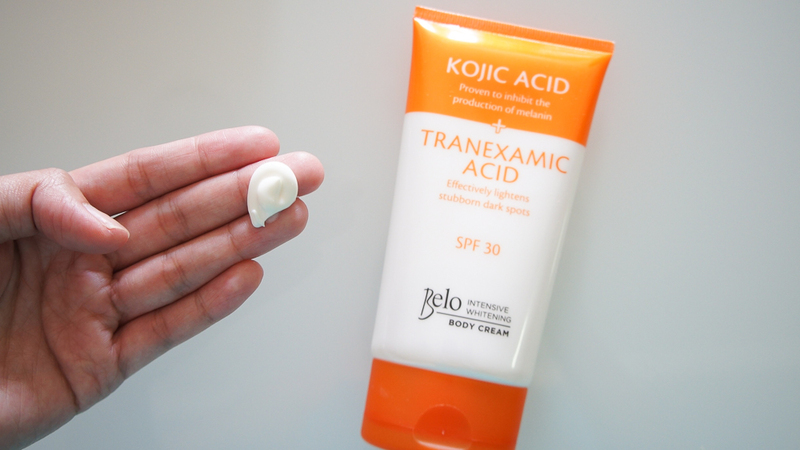 It’s got the same effect as the soap and works well as a follow through, making whitening more intense all thanks to its powerful combination of Kojic Acid and Tranexamic Acid. It’s hypoallergenic and dermatologist tested. I like that it’s creamy yet non-sticky. It doesn’t suffocate my skin especially now that it’s summer. 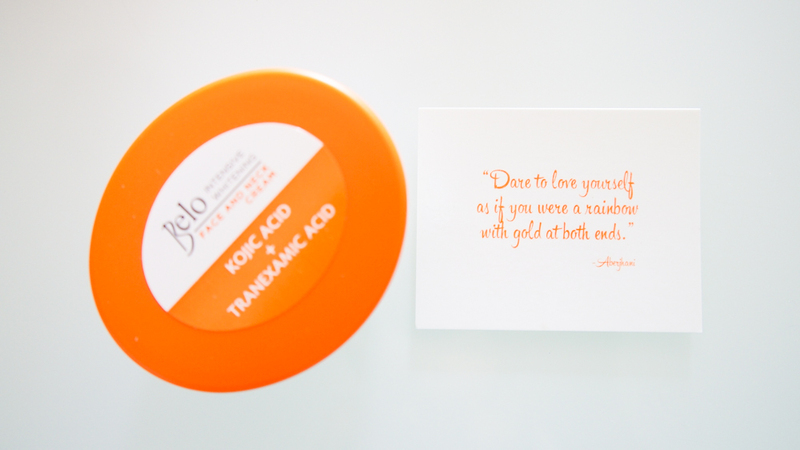 It also comes with an inspirational quote similar to the Belo Intensive Whitening Bar. 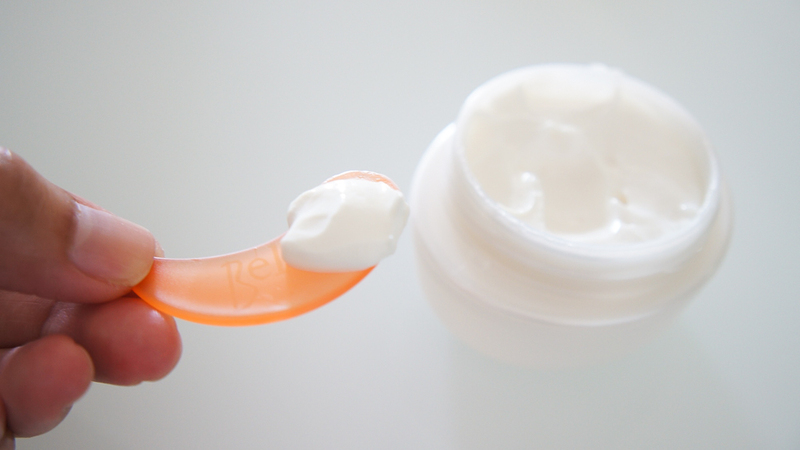 Like it’s lotion counterpart, (Belo Intensive Whitening Body Cream) it has thick consistency, but surprisingly once applied, gives just the right amount of moisture and hydration. This face & neck cream is the answer to all who have been asking me on what moisturizer to use along with the Belo Intensive Whitening Bar. Of course I didn’t miss the chance to try out the two newest products from the Belo Intensive Whitening line. I tried using all three Belo Intensive Whitening products for 7 days. Perfect timing though as I just go back from my Bohol trip and I was tanned & ready to test the intense whitening effect of the trifecta that is Belo Intensive Whitening (Belo Intensive Whitening Body Cream, Belo Intensive Whitening Bar, and Belo Intensive Whitening Face & Neck Cream). Here’s my BEFORE photo, a few days after being tan from my first summer trip of the year. Look at how red my skin tone was. Blemishes on my face are also visible. I had a mild breakout during my Bohol trip. I guess my skin wasn’t too used to tanning as much as it did before. After 7 days or religiously using the Belo Intensive Whitening products, I notice a huge difference in the overall tone of my skin. I’m not red anymore! Well, my hair still is (I had it recolored) but my skin looks way better than a week before. It looks healthier and smoother no? Well it has become smoother, especially the areas that I often neglect when I worship the sun. My elbows, knees, even shoulders aren’t dry anymore. Also, the mini-breakout I had started clearing up. Now there’s two more reasons to try Belo Intensive Whitening. It’s three times more powerful, letting you achieve that glowing & radiant skin just like Sarah G! The Belo Intensive Whitening line is available in all Watsons, SM Supermarkets, Department Stores and Lazada.com. Hi Ann! You might want to try to the three products to make it more effective. One week using it clearly made me skin fairer especially since I was red and tan from the beach. Hi po! i can’t find the cream for face and neck kaya ginagamit ko yung lotion para sa mukha, i’ve been doing it for 2 days na. Is it okay in that way?